20% of all wine orders placed this week go to ColaLife! You are here: Home / C2C2017 / 20% of all wine orders placed this week go to ColaLife! To encourage Bolder’s charity efforts, cycling across large parts of France and raising much needed funds for people who have nothing and for whom this will be a lifesaver, we are committed to passing on 20% of the value of any order you place this week with SWC as a donation to ColaLife – and to help Bolders on his way! Please take your pick of any wine from our website, but we would recommend appropriately a French number – either Jimmy Anderson, Sir Nick Faldo or Jacky Lorenzetti. Please contact michelle@sportingwineclub.com who can arrange any orders for you. 6 years ago Simon Berry [founder of colalife.org] and I rode from Boulogne to Biarritz and raised £6,000. 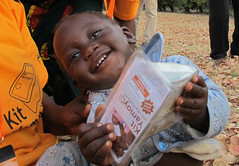 This helped ColaLife take their first steps rolling out life-saving kits to families across Zambia. The seed of this project, and the name, came from Simon’s first stint in Zambia helping to develop the country’s dairy production and wherever he went there was one object ever present: a red crate of Coca Cola bottles. So, if they could get to remote villages why couldn’t life-saving diarrhoea kits [amongst other things] so he and Jane Berry started work on the possibility of ‘piggy backing’ on the Coca Cola distribution network with the concept of inserting a ‘pod’ in between the bottle necks containing vital supplies. The concept has evolved in a slightly different but probably more efficient manner and now ‘Kit Yamoyo’ is sold in small stores in remote villages throughout Zambia at a heavily subsidised, affordable price, thanks to Colalife. The next step will be to take this successful project into neighbouring Tanzania and elsewhere in Africa. With this in mind we have now moved on to the letter C and on September 21 will cycle 1200 kms from Caen to Cannes (C2C) to raise as much as we can to help Colalife take the next big step. The above is a link to the relevant page on the Colalife web site and the following is the Just Giving page on Virgin should you wish to support us. To date we have raised over £3500 and hope to reach at least £6,000 before we set off. Please also join our Facebook group for regular updates along the way. This could become your go-to travel guide for rural France as we traverse the country on mainly small roads and stay in some no doubt charmingly chic hotels along the way. We will provide all the necessary information on our lunch and dinner stops so that should you decide to take the slow road across France you need look no further. 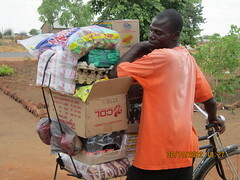 We are meeting all of our own travel costs to ensure that every penny goes directly to Colalife. Take a look at my interview with cycling great David Millar and his tips on our odyssey! It promises to be a tough 9 days of cycling but all of your support will enable our weary limbs to start pedalling again every morning. To be honest the Boulogne to Biarritz ride was one of the toughest physical challenges I have completed but also one of the most enjoyable so it’s a great way to raise funds for a fantastic cause. Needless we are very grateful to Simon Halliday, Chris Mariner and their team for this generous offer.